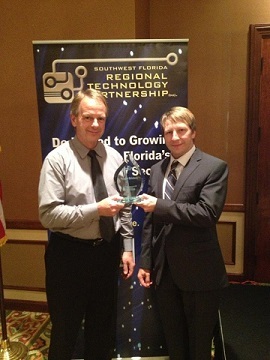 The Southwest Florida Regional Technology Partnership selected dESCO LLC and Polygon Solutions Inc. for top recognition at its Fifth Annual Technology Awards Ceremony brought to you by CenturyLink on Wednesday, March 20th, 2013. Polygon Solutions Inc. was honored in the “Transformation” category for its development of the most advanced rotary broaching tool holder on the market. Adjustment free with low maintenance, this machine tool fits nearly every turning machine on the market today. Manufacturing Engineer Jim Cox and CEO Steve Derbin were on hand to accept the award for Polygon. The other finalists in this category were T3Communications that meets demands for enhanced communication services and Video Career Finder who had developed an innovative method for candidates to introduce themselves to employers. dESCO LLC of Fort Myers was honored in the “Savvis Direct Innovention” category for its service management suite. The other finalists in this category were Naples Network Services with devices used to monitor homes and business to provide alerts for flooding / HVAC failure and Position Logic that provides both hosted and enterprise GPS tracking platform software and location-based services. A third award, for “Partnership,” was presented to SWFRTP Programs Chair Volunteer Stephen Craig, for his endless hours committed to providing quality, monthly events to educate and connect the SWFL technology professional community. Finalists in this category were board member Marc Farron of Surround Technologies and board member Kim Brown of Diversified Services. 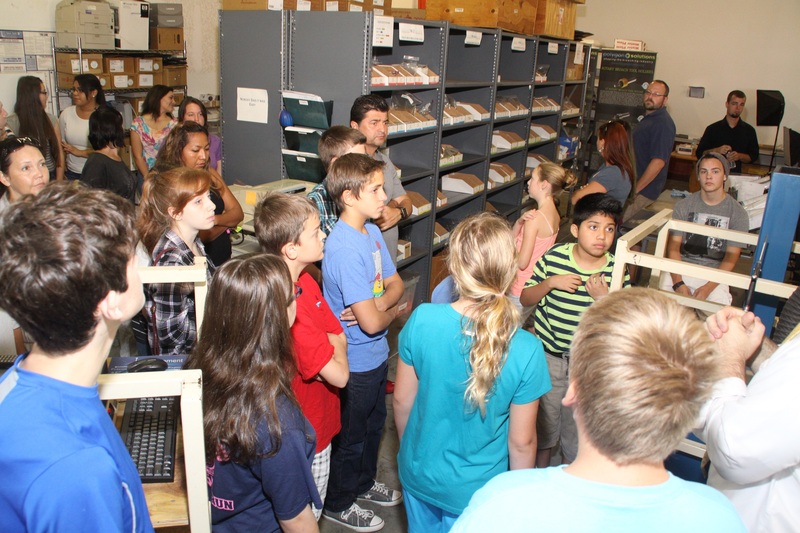 The Awards Ceremony is Southwest Florida’s longest-running, high-profile “excellence in technology” event. This year’s keynote Speaker was Gary Beach, Publisher Emeritus of CIO Magazine, who spoke to the educational dismemberment of America and encouraged attendees to engage with the youth of today through mentoring or teaching and encouraging interest in technology fields. 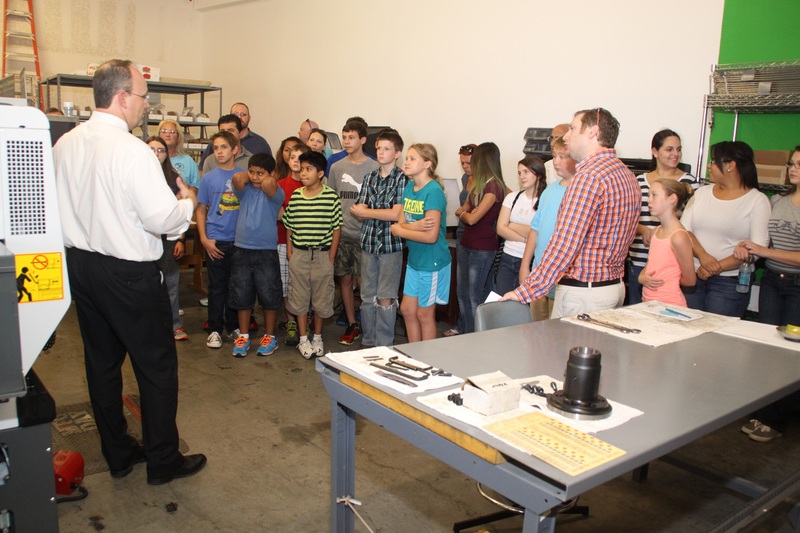 On the first National Manufacturing Day, October 5th, 2012, Polygon Solutions Inc. hosted an open house and project for students to teach them about manufacturing. 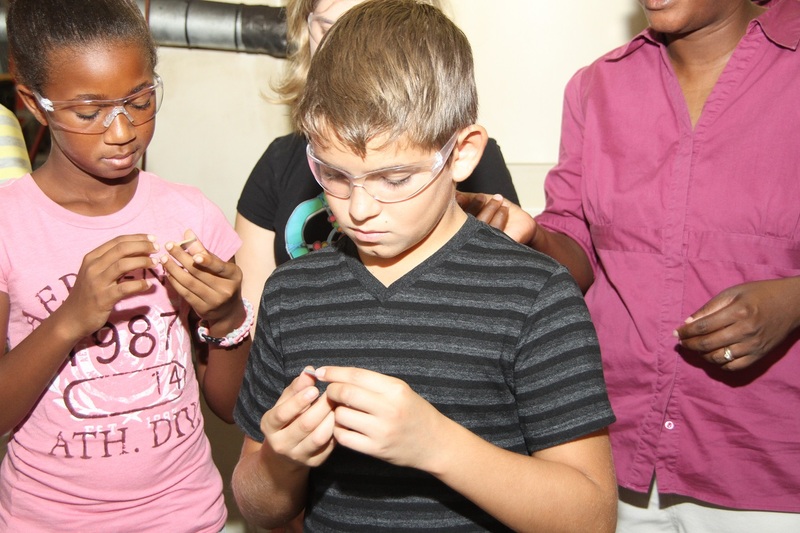 Although none of the students said they were interested in manufacturing before the class, many said they would now consider it.